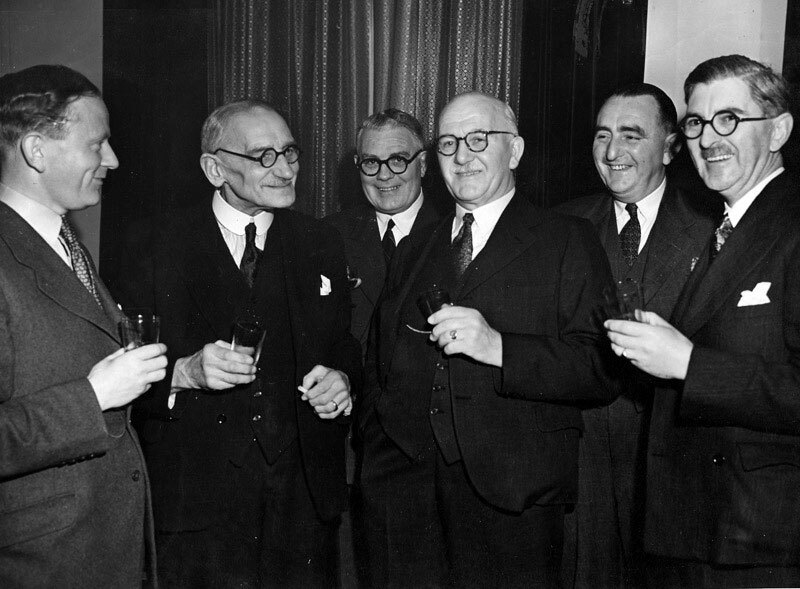 Messrs Aublet Harry & Company were established in London's East End in 1866 by Mr Robert Harry, helped by a friendly brewer, Andrew Tanqueray, as manufacturers of band saws, band knives and other machinery for the clothing trade. Their Head Office and Showrooms were at 53 – 55 Curtain Road, London E.C. The company became contractors to the Government and expanded the business by manufacturing electric motors, gas engines, pulleys & shafts, fret and boring machines etc. The Peterborough Advertiser of 18th June 1904 announced that the Company was moving its works to Peterborough and had purchased a site on the Westwood Bridge Road (Westfield Road) opposite Messrs Werner, Pfleiderer & Perkins Limited, who were at that time building their new factory. Plans for the Aublet Harry's factory (size 120 ft x 100 ft) were passed in January 1905. James Hicks, a builder from Huntly Grove was eventually awarded the contract for brickwork, woodwork and floors at a negotiated price of £1,000, his original tender being for £1,500. 170,000 bricks were supplied by Mr Rowe's "Star Pressed Works". Building work commenced at the beginning of February 1905 and was completed by April. The factory was fitted out and manufacturing had started by November 1905. 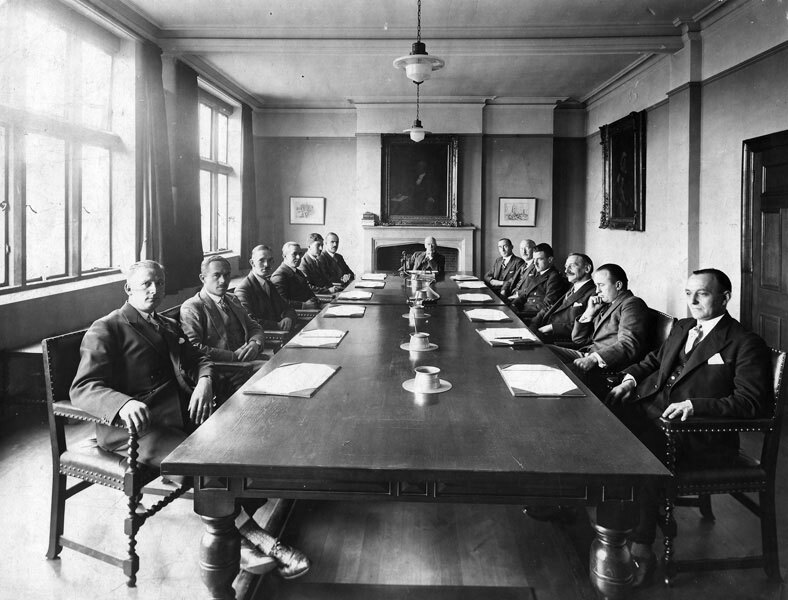 The Peterborough Corporation contracted to supply electricity for seven years, providing they used a minimum of £250 worth of electricity per year. The company continued to prosper and by 1909 it was manufacturing laundry and clothing machinery, as well as being expert in the installation of electric lighting and power plants. 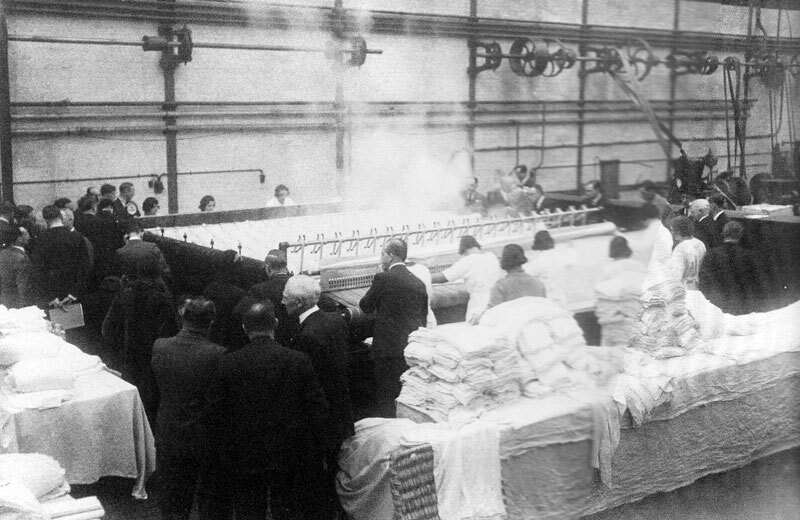 In February 1913 the Company had to extend its factory at Westwood and in 1919 they bought up the laundry business from Messrs Summerscales of Keighley, Yorkshire and became agents for American Laundry machines. Unfortunately the First World War took its toll and the markets for their equipment stagnated. 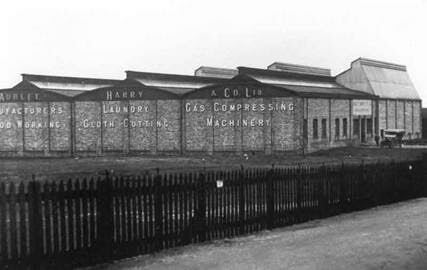 In April 1924, Baker Perkins Limited (formerly Werner Pfleiderer & Perkins) bought the assets of Aublet Harry & Co Ltd, particularly for their laundry machinery. Although some of the equipment was somewhat out of date, Baker Perkins acquired the skills of Aublet Harry's designer, Mr Frank Dewhurst. Mr N.H. Harry was employed in Baker Perkins' administrative section and Mr David Tanqueray became sales manager. The descendents of Norman Harry - who was a director of Aublet Harry at the time it was acquired by Baker Perkins - kindly loaned BPHS some papers and photographs from his 46 years of service with the company. Aublet Harry on show - Thought to be at the Laundry, Dry Cleaning and Allied Trades exhibition at Olympia in 1950. Testing a four or fived-roll ironer in the Aublet Harry factory. 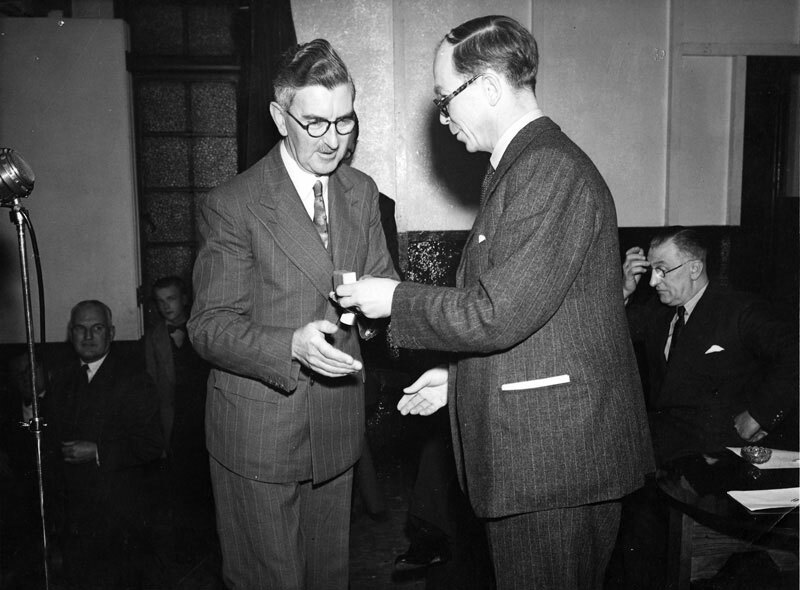 Norman Harry receives his Gold watch for long service from A.I. Baker. The old factory stood empty until January 1928, when the Peterborough Co-operative Society bought the four and a half acre site for £6-7 thousand as a garage for their road vehicles. 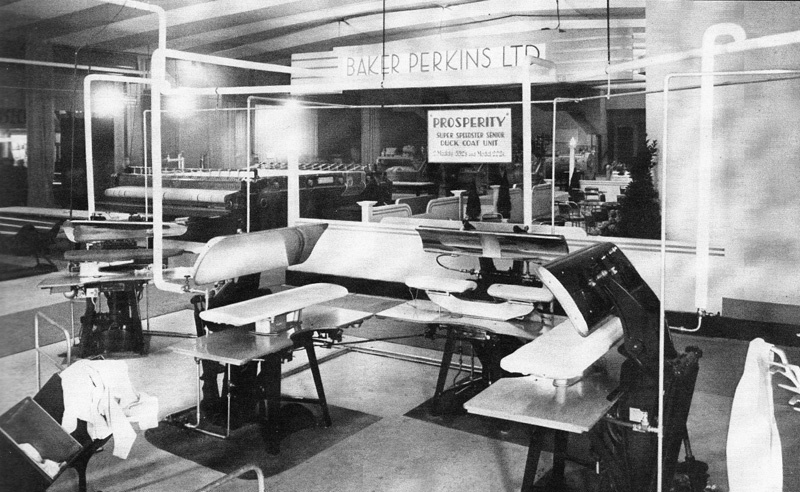 Now see History of Baker Perkins in the Laundry Business.